The U.S. Supreme Court on Tuesday agreed to decide the constitutionality of a New York City ordinance that bars its residents from transporting handguns beyond city limits. The case is the first Second Amendment case the Supreme Court will hear since 2010, report the New York Times, the Washington Post, SCOTUSblog and the Wall Street Journal. The Supreme Court ruled in 2008 that the Second Amendment protected an individual right to bear arms within homes in Washington, D.C., a federal enclave. In 2010, the Supreme Court ruled that the Second Amendment applies to state and local governments. 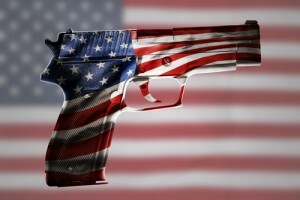 But Supreme Court consideration of Second Amendment rights stalled after those two decisions. Justice Clarence Thomas complained last February that the Second Amendment is a “disfavored right” in the Supreme Court. He aired his complaint in a dissent from a cert denial in a challenge to California’s 10-day waiting period for gun purchases. The cert petition in the new case contends that the New York City transport ban “is an extreme, unjustified and irrational restriction on Second Amendment rights.” Two other constitutional rights also are violated, according to the petition. The commerce clause is violated because New York City residents can use only city gun ranges, the petition contends. The right to travel is violated because travel is conditioned on the forfeiture of a constitutional right, according to the petition. The plaintiffs who challenged the law are three individuals and the New York State Rifle & Pistol Association.